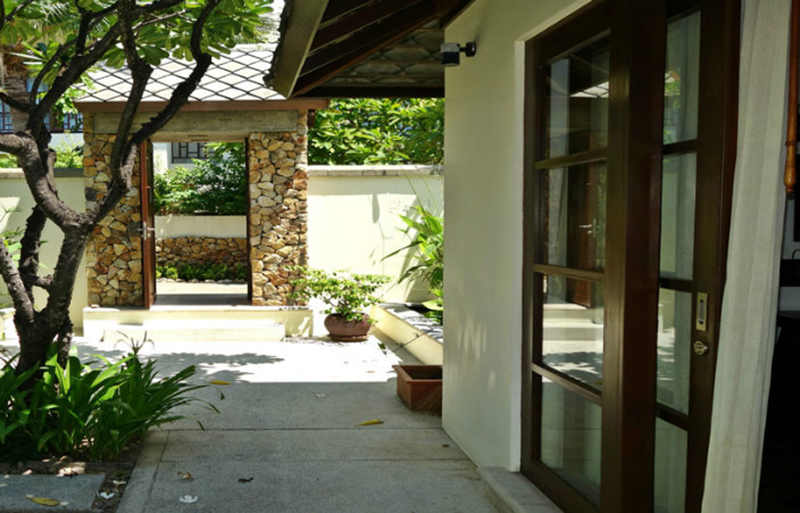 Beautiful and cozy 4 bedroom villa is ideally located just 10 meters from the beach and has a private access to the coral waters of the Gulf of Siam. 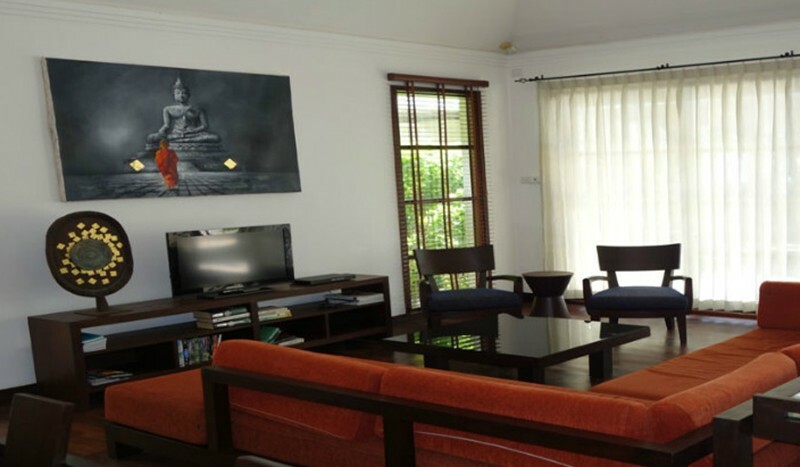 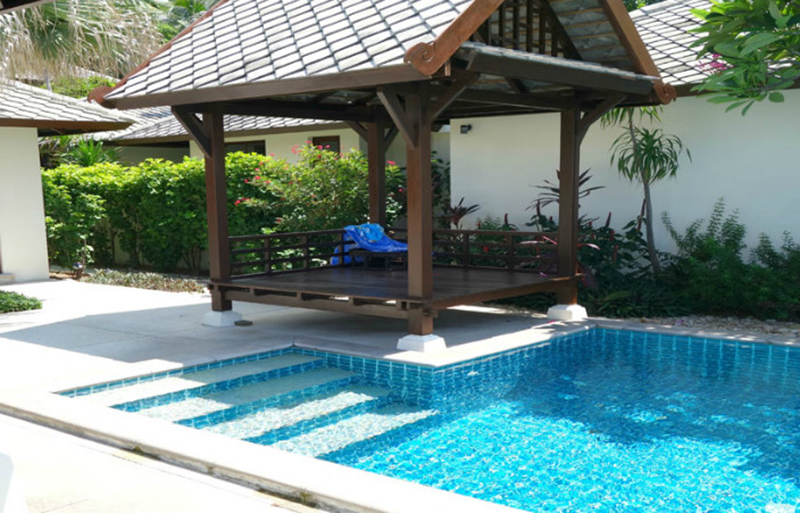 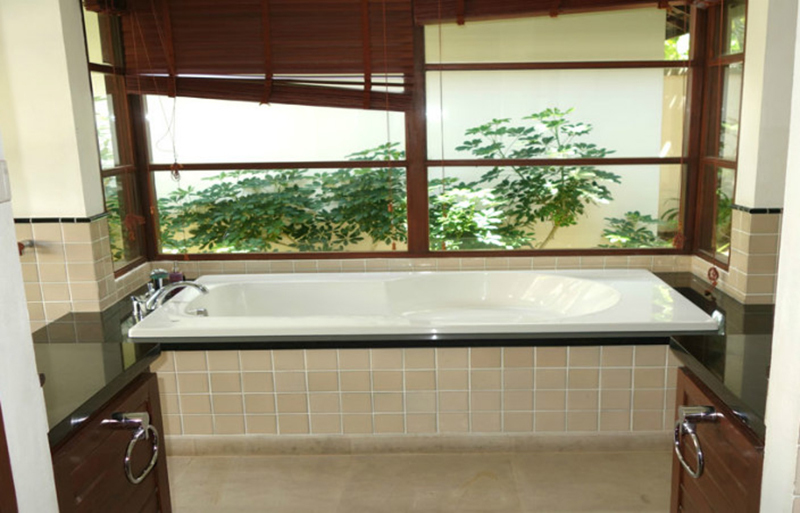 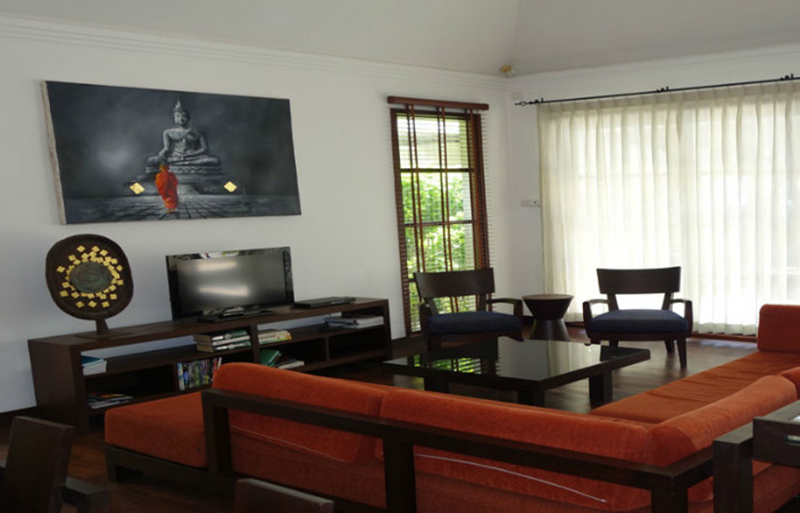 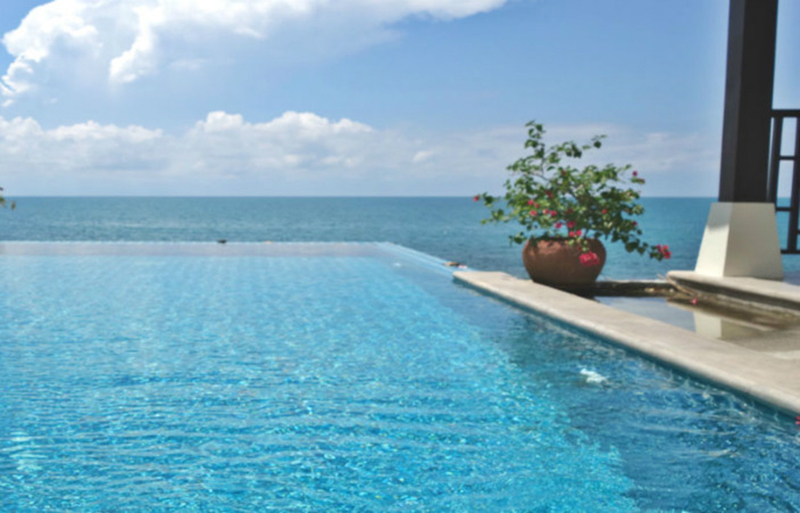 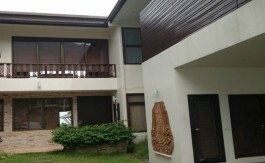 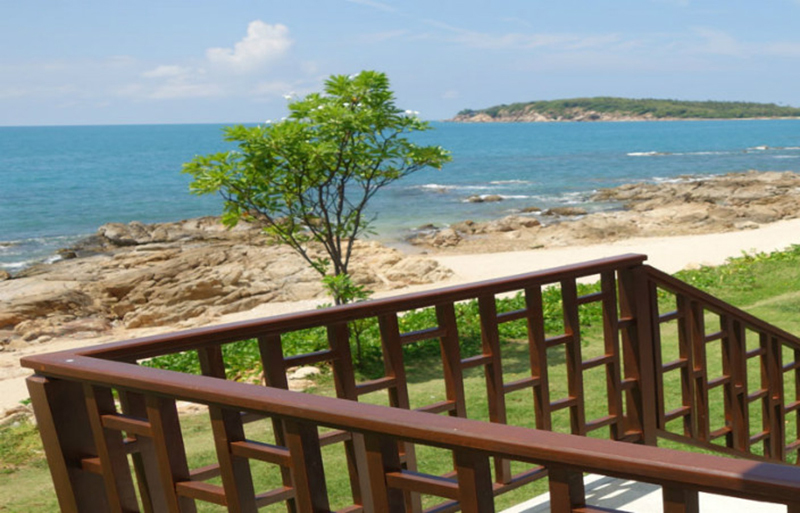 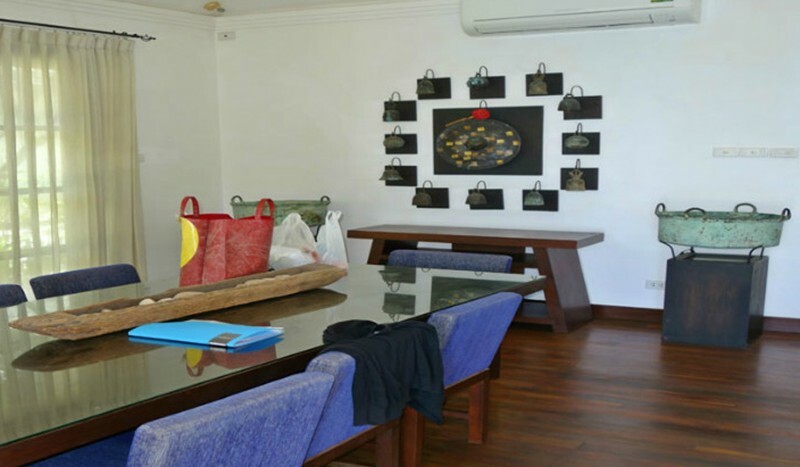 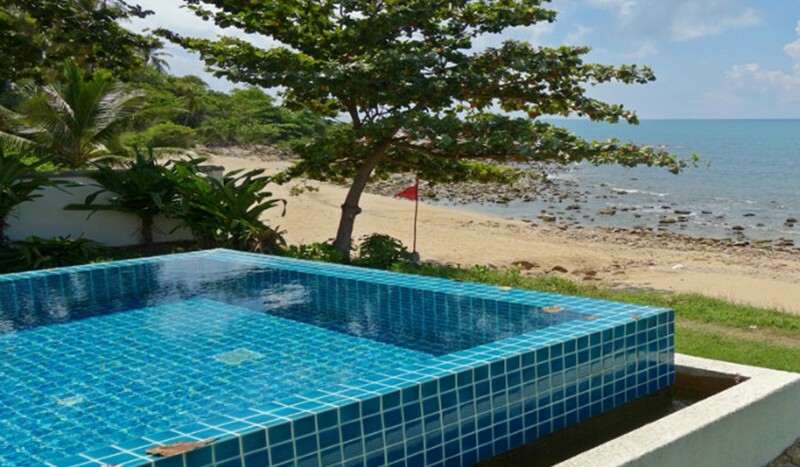 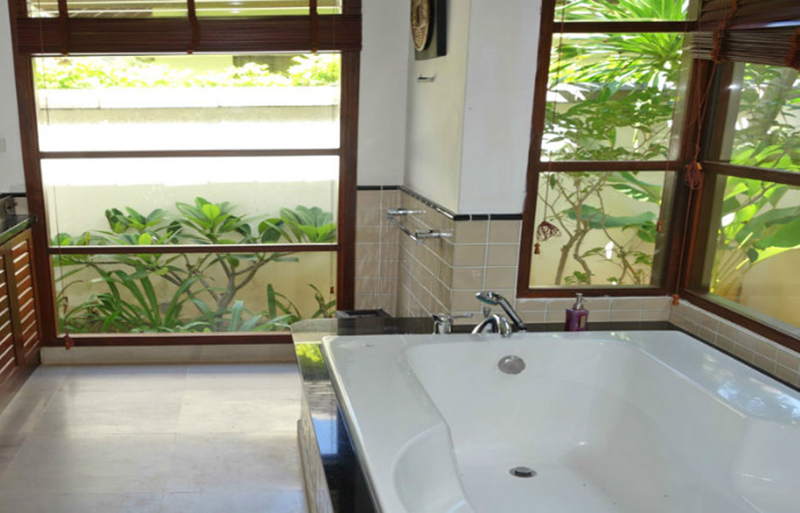 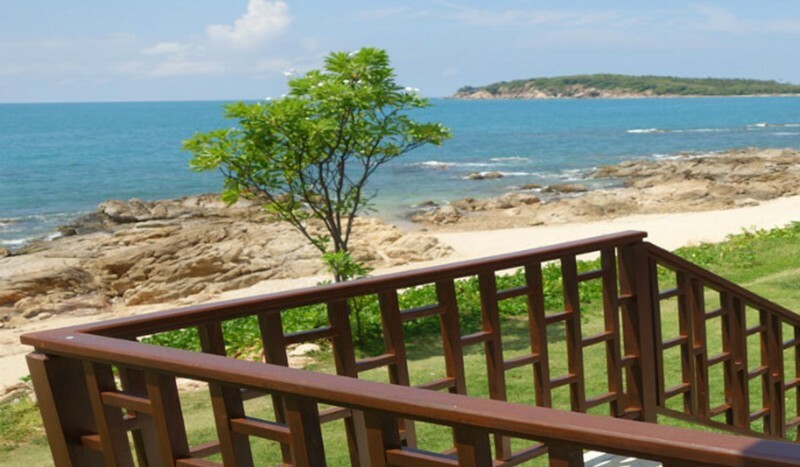 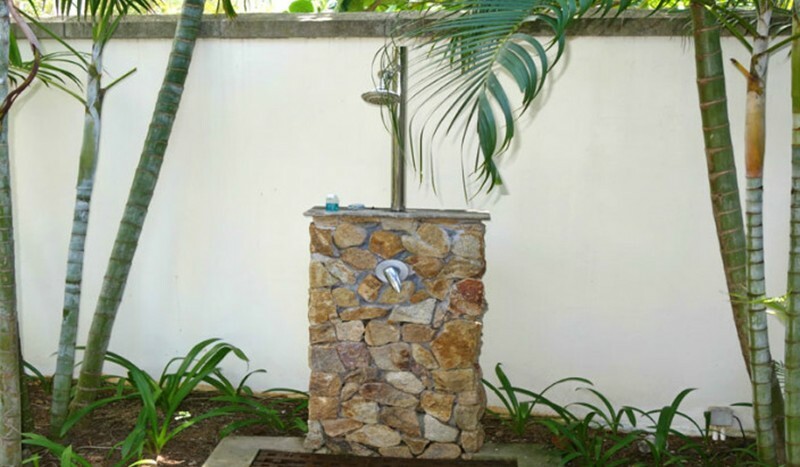 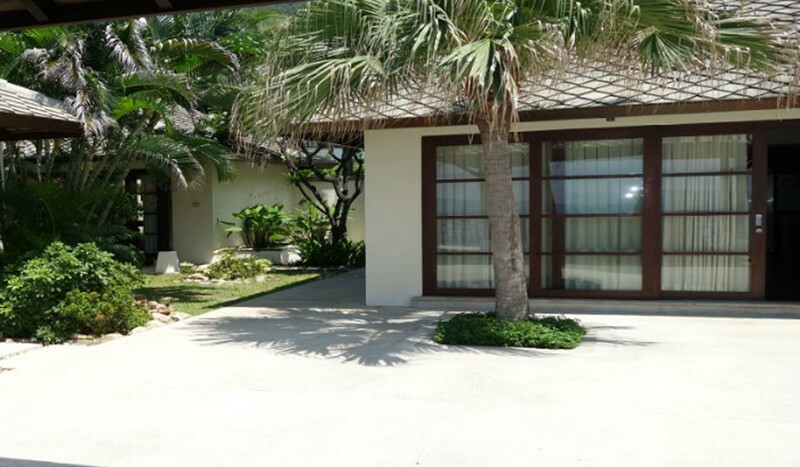 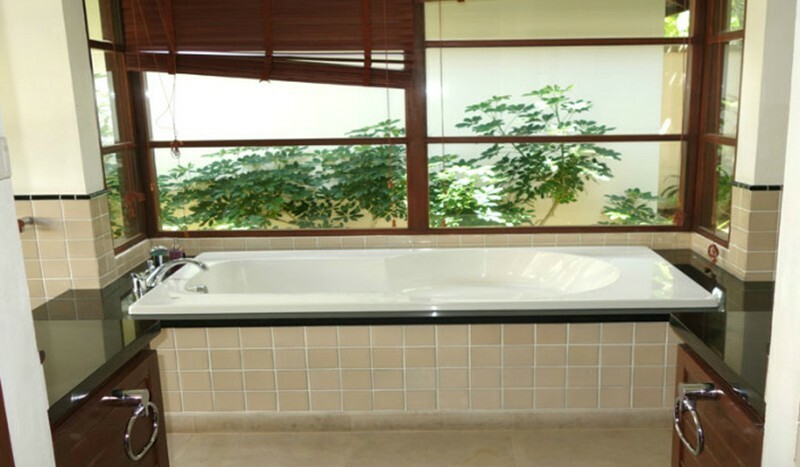 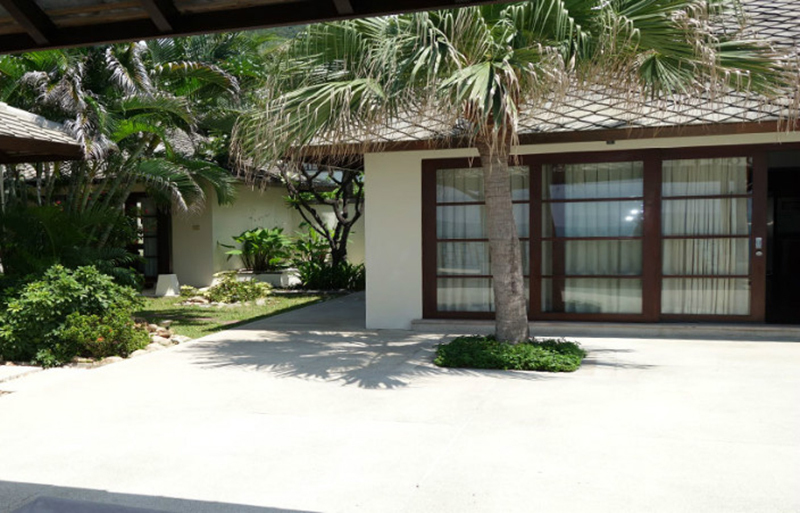 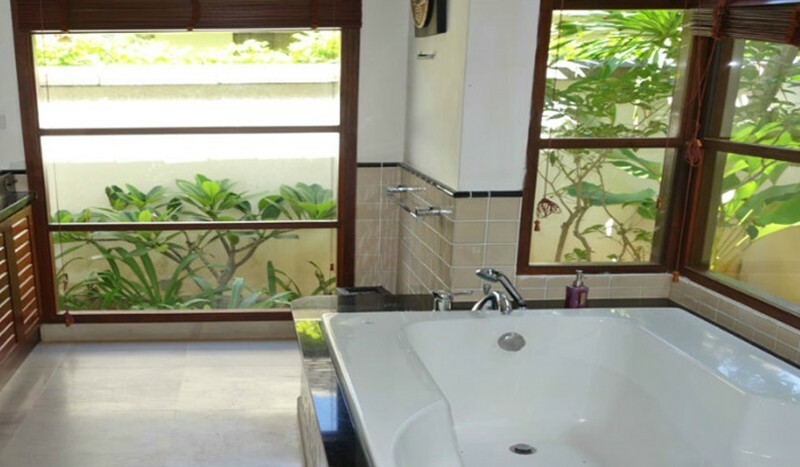 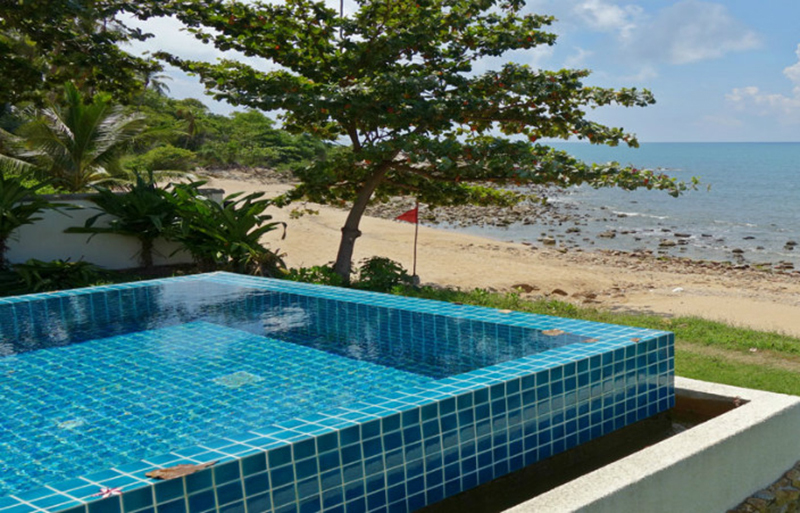 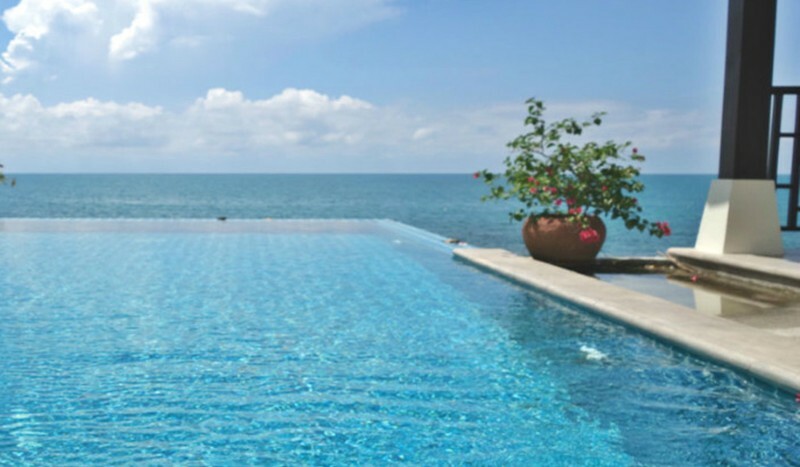 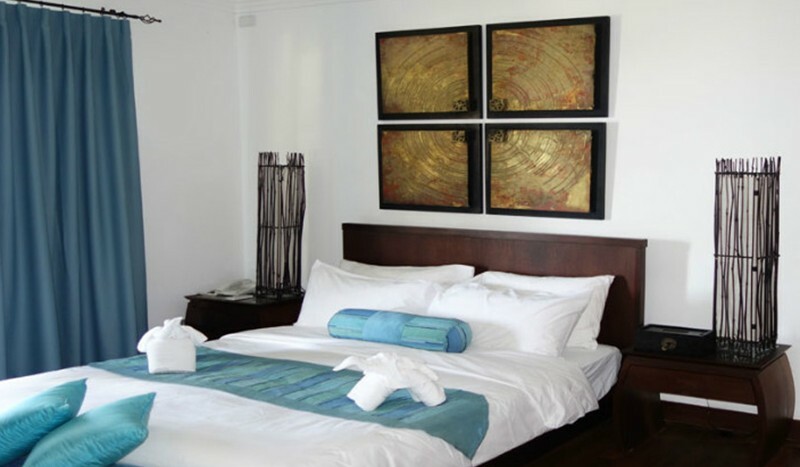 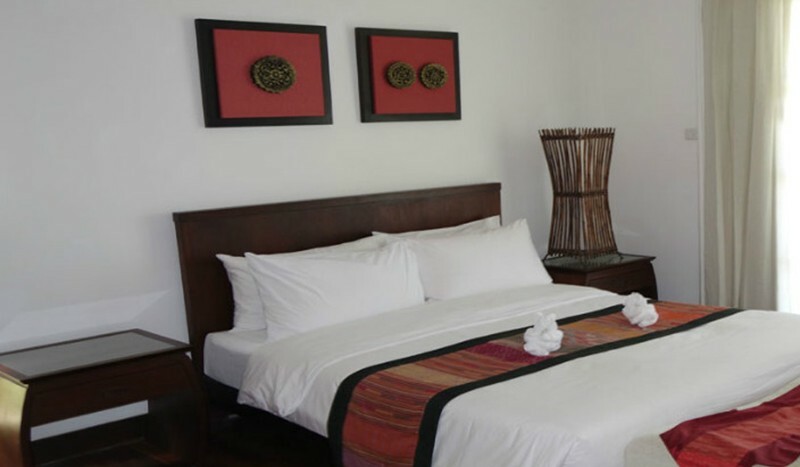 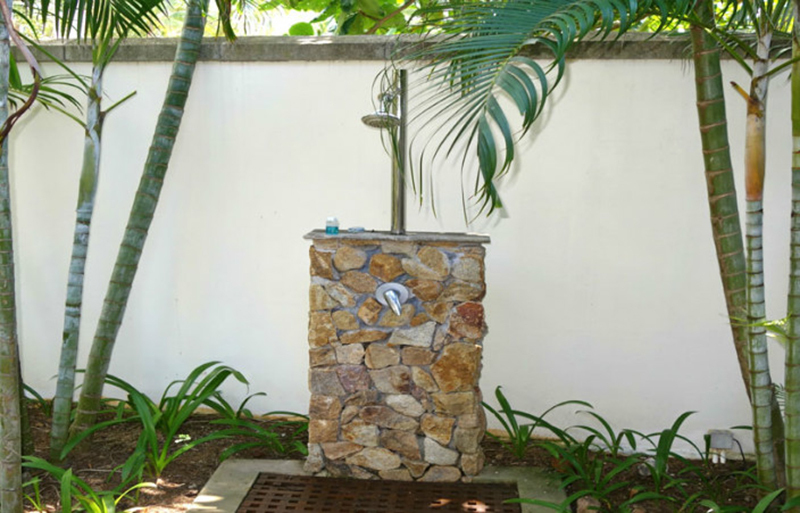 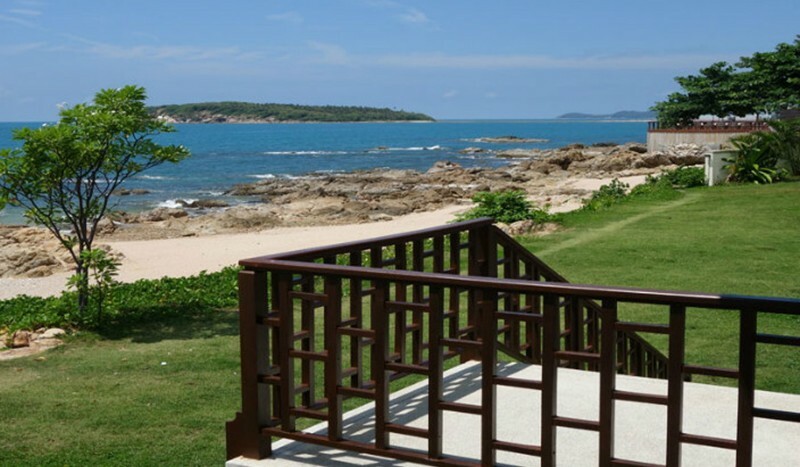 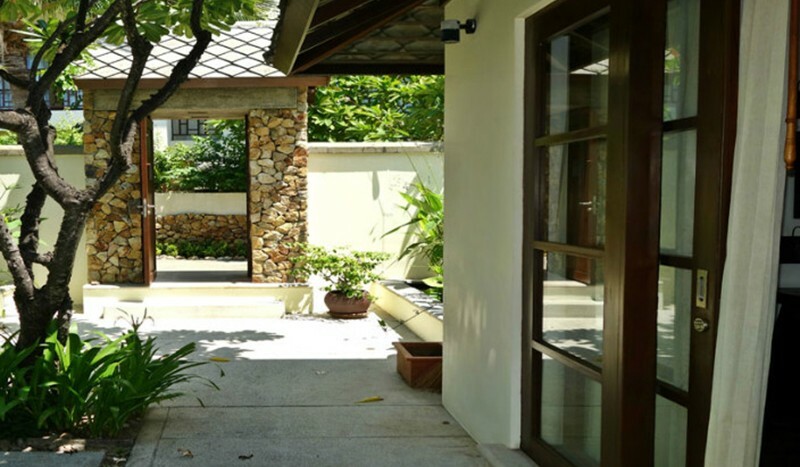 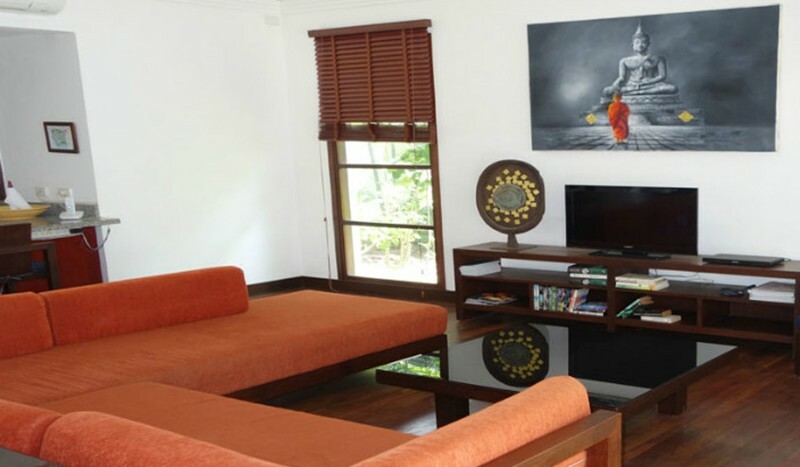 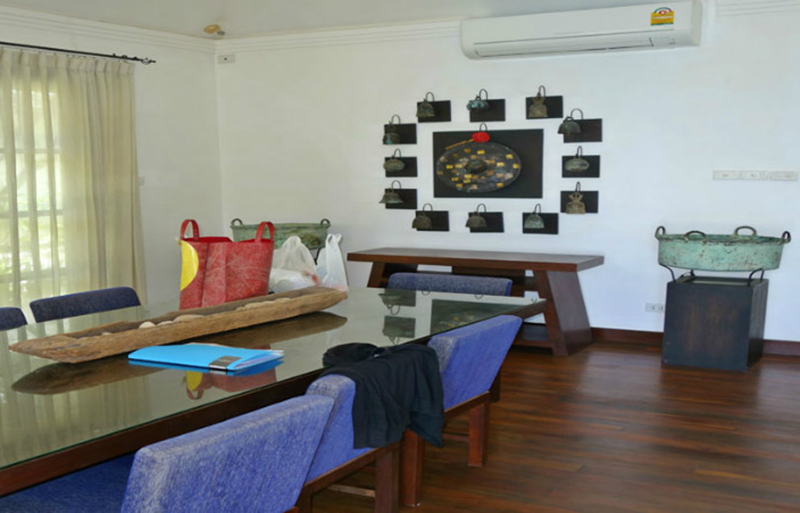 Nested in the secure complex of Choeng Mon area the villa is situated close to the shops, laundry services, restaurants and Samui International airport. 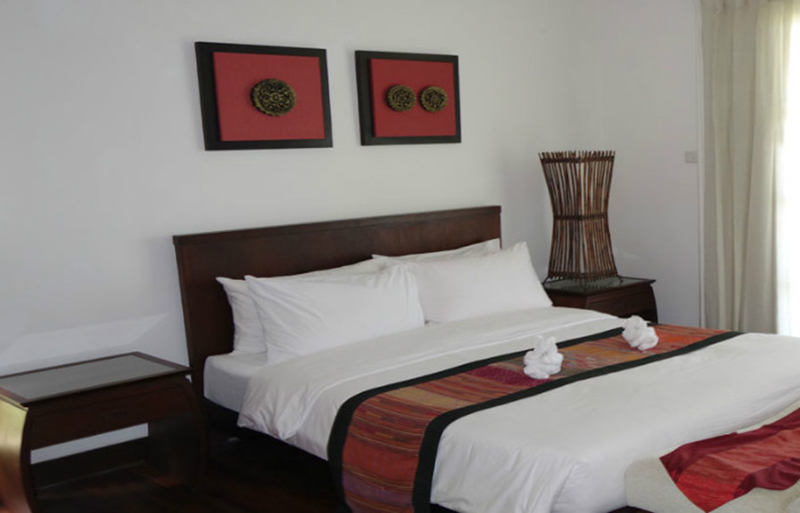 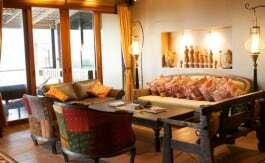 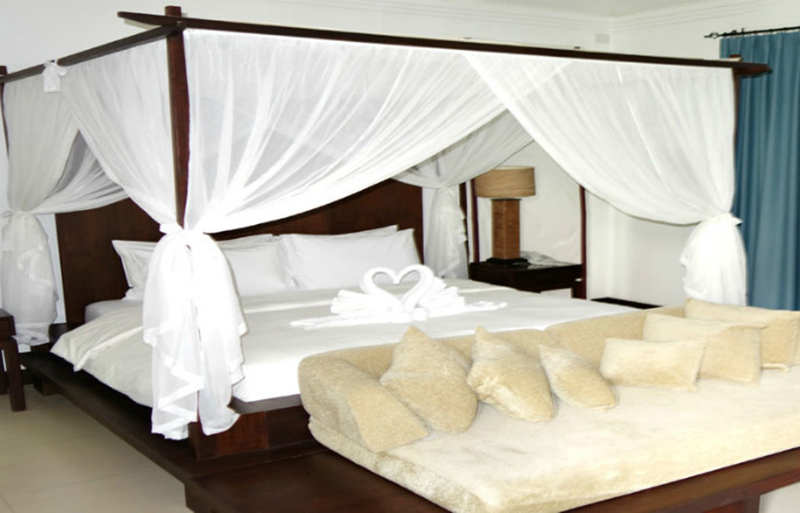 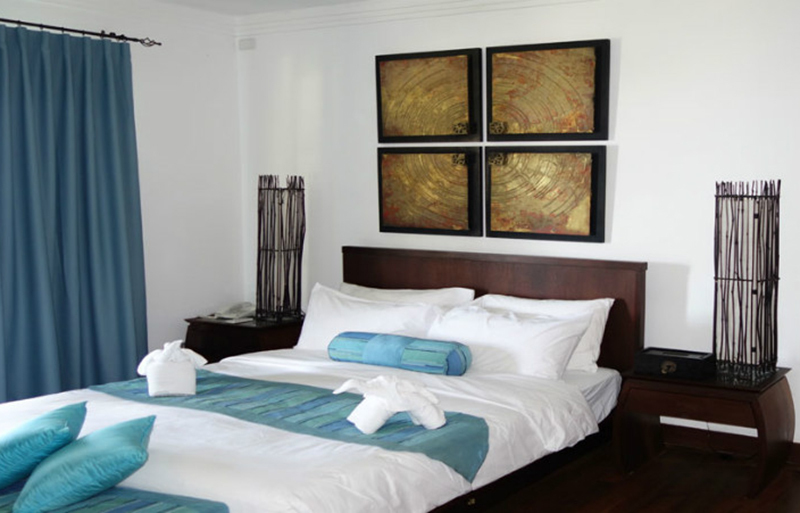 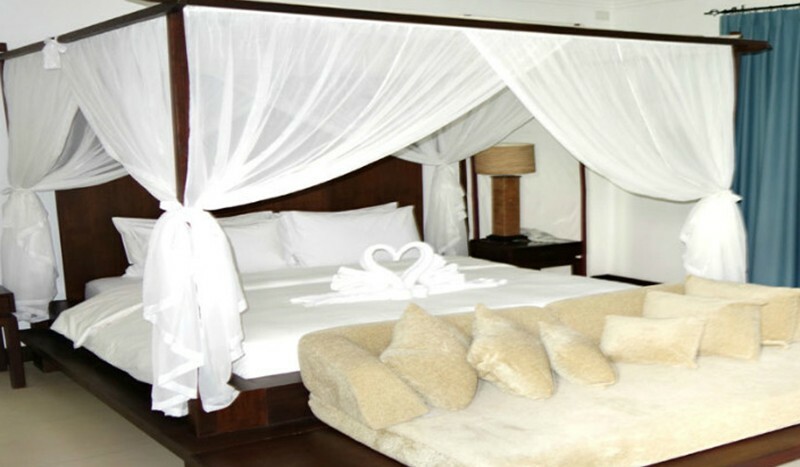 This beautifully decorated one story house built for comfort and relaxation of the discerning guests has 4 stylish bedrooms and 4 bathrooms. 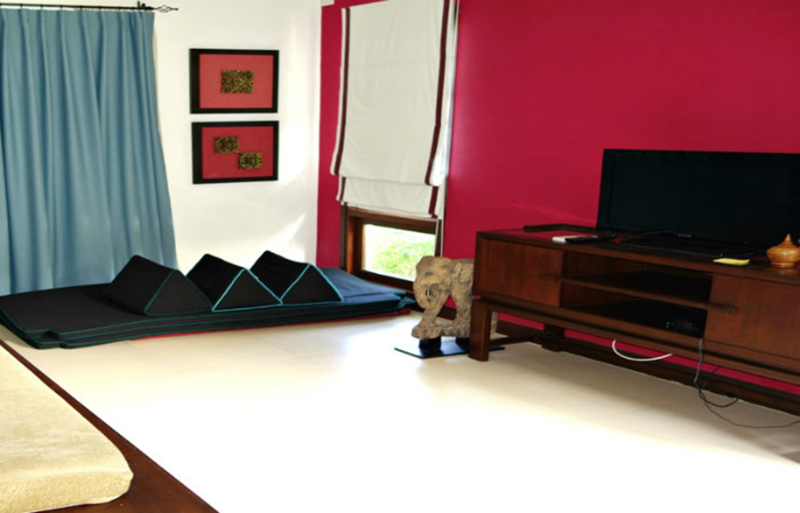 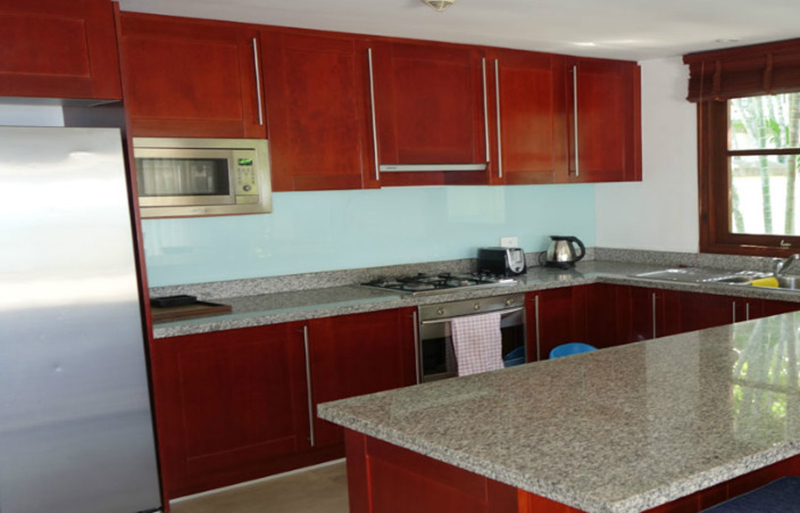 Fully furnished the property offers the customers 24 hour security service, satellite TV, laundry, high-speed Internet, WiFi, DVD player, washing machine, air con throughout the house, off road parking, private garden and nice terrace. 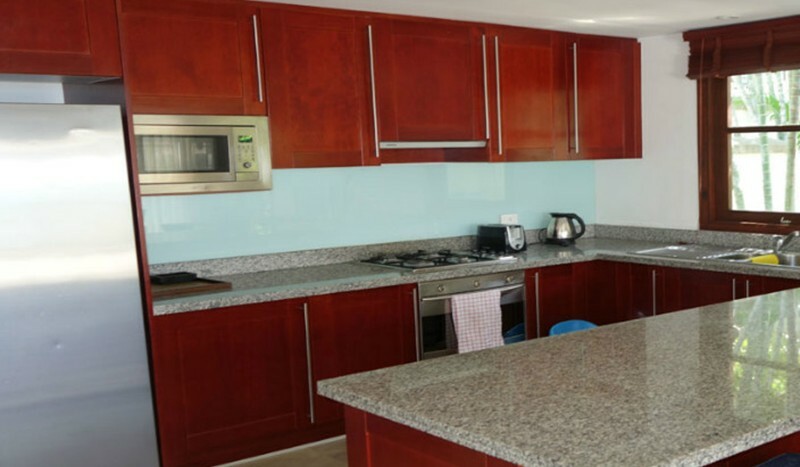 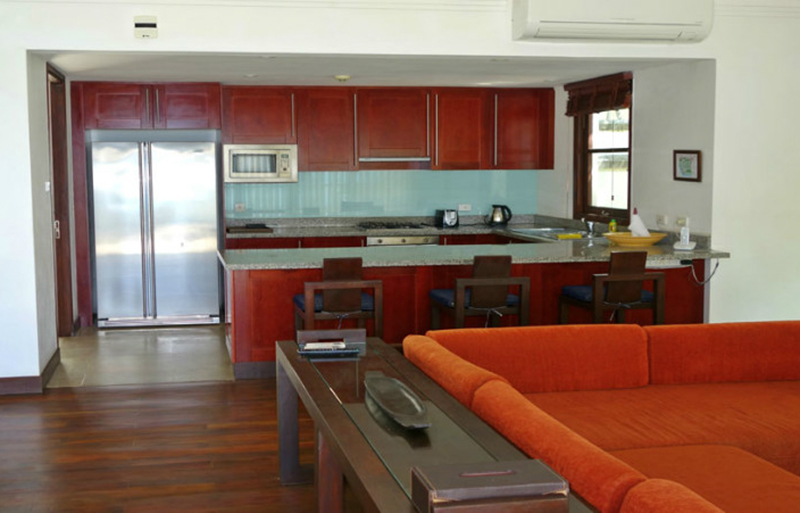 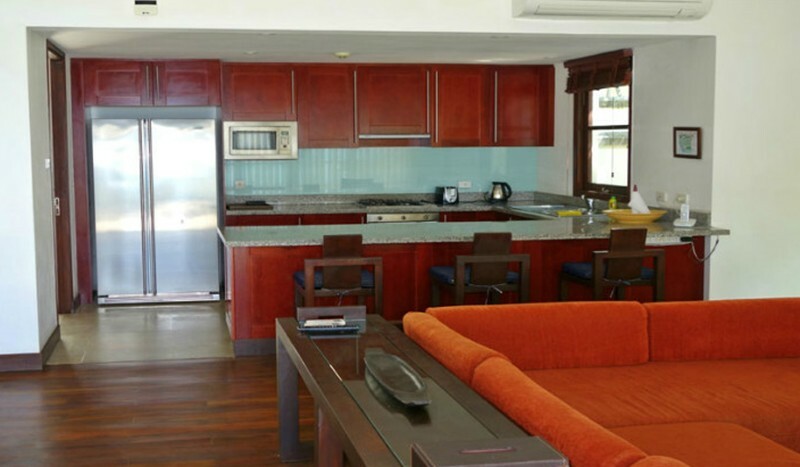 The modern kitchen is fully equipped with an electric oven, microwave, dishwasher and dining table. 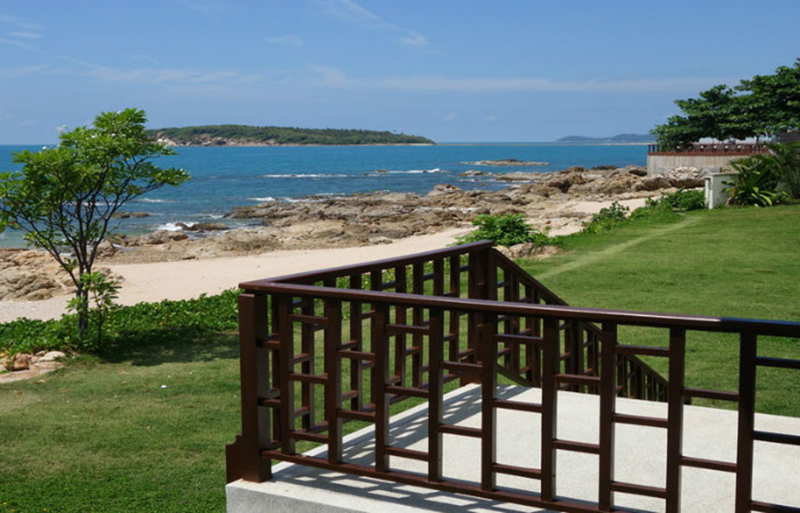 You can enjoy sunny weather of Koh Samui sitting outside in a beautiful sala or dining at the outdoor table.